Trust your Smiles to a Specialist,Go to a Prosthodontist! Dr.Devi DDS.MS,FICOI is a Prosthodontist with additional training in Dental Implant Surgery. Dr. Devi is trained to provide you with complete implant dentistry solutions including implant placement and teeth under one roof. This avoid patient going office to office for their treatments. 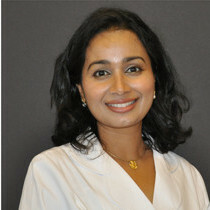 Dr.Devi DDS.MS is a Prosthodontist with additional three years of training. Our specialty services include Full Mouth Reconstruction, TMJ disorders, Teeth Grinding, Bite disease and Sleep Apnea.